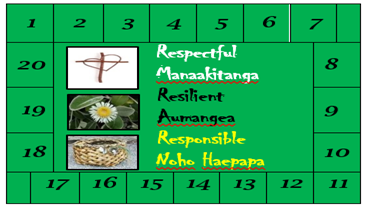 We ask that you inform the school office – 475 3262 (messages may be left on the answer phone) or admin@cardinalmckeefry.school.nz by 9:15 if your child is to be absent. Please send a note to the office if the absence is known about in advance. Unexplained absences will be followed up between 9.15 and 9.45. On occasions when children need to be withdrawn from class and leave the school grounds during the day, parents need to inform the school office and the class teacher. The school is then aware of a child’s temporary absence. Attendance is monitored as repeated absences can affect children’s progress as a learner. sKIDS programme, an OSCAR approved programme, runs each afternoon from 2:55. http://www.skids.co.nz/locations/cardinal_mckeefry/ Subsidies can be obtained from WINZ for those who meet the criteria. Fortnightly assemblies are usually held on alternate Thursdays at 2:15. You are welcome to attend. ASB provides school banking opportunities for students each Wednesday. The completed slip and money should be placed in the envelope provided. This envelope is to be posted with the elephant in the admin area. Students wishing to open a School Savings Account should request forms from the school office. Each morning the “blue book” is taken to each class and staff member, along with the absences and notice folder to collect any returning notices, orders, money and so forth for the office. Ashton Scholastic Book Club pamphlets are sent home once or twice a term. Order forms may be sent back to school. Purchase is entirely optional. We suggest that only students from Year 5 -8 ride bikes to and from school unsupervised as the roads around the school are busy. It is requirement that helmets be worn for both scooter and bicycle riders and that cycle safety checks be carried out regularly. Being safe means that safety helmets are mandatory. Bikes and scooters should be stored at the back of the building by the concrete block wall and must be wheeled in the front grounds after school. It is dangerous to be riding on the walkways or amongst the cars. Computers – laptops, iPads and Android tablets are used to support teaching and learning throughout the school. Communication between home and school is very important. We use our Newsletter, website and email to share important information with our community. If parents or caregivers have any concerns, issues or complaints, these should be addressed in the first instance with the class teacher concerned, or the Principal. The office hours are 8:30am to 1:00pm. If you wish to contact any of the teaching staff, this is best done between 12:45pm and 1:15pm or after school. Before school is not a good time for in-depth conversation as privacy can not be assured. Therefore teachers may ask to set an appointment time with you to allow genuine discussion to occur. Dental Care is via the Dental Caravan which visits annually. The nurse can be contacted for appointments at other times if necessary. Education Outside The Classroom (EOTC) is an important factor of life at CMS. EOTC encompasses a range of activities – sporting events, attendance at performances, visiting an exhibition, going on a field trip, to name just a few. It may involve a group, class or the whole school. Parents and caregivers are always notified prior to these events. Enrolments are welcome at any time. For enrolment of children who do not meet the criteria for preference with a Catholic connection we suggest earlier rather than later to ensure a place. Fundraising is essential in most NZ schools. As a Decile 10 school, we receive less funding than many other schools. The PTA, in partnership with the Board of Trustees, works to provide opportunities to raise extra funds from the school and wider community. The mobile dental caravan is on site for a few months every one or two years. At other times contact can be made anytime on 027 2418755 for any dental concerns or for dental appointments. Children should not keep medications of any sort in their bags or desks. If your child requires medication while at school, this should be brought to the office named, with a signed permission form (available from the office) and clear instructions for dosage for the child to self medicate under our supervision. If a child is unwell at school, every effort will be made to contact parents or named emergency person. In the case of accidents requiring a visit to the Accident & Emergency Centre, parents will be contacted. If we are unable to make contact, the school will act in loco parentis. Current research indicates that many forms of traditional homework may not be particularly helpful for student achievement. During this year we are investigating some options to take us forward. But there are still some homework expectations and a homework guide for each class level. Shared poem and/or a reading book from browsing boxes each day – check the reading notebook for further instruction. Reading 15- 20 minutes a night. Year 3 have a reading book from class. Heads up Maths – 1 cycle a week returned to school on Friday. Occasionally there may be a homework focus of Study Ladder to support spelling and other areas of need. Reading 15- 20 minutes a night. Maths Mate – 1 sheet per week to be completed by Thursday and marked during Maths in the classroom. Year 5-6 Home learning grid related to classroom focus. 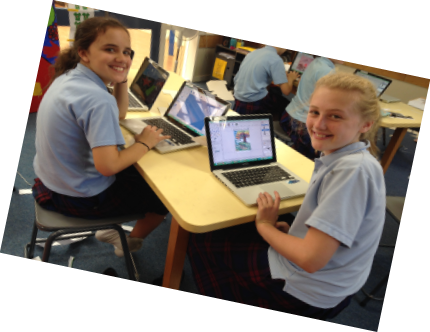 Year 7-8 Home learning will include wiki tasks and online activities related to classroom focus. remember to contact the school office and inform us. It is important that the school has up to date contact phone numbers of your home, work place, and another emergency contact number in case we are unable to contact you. Students may borrow and take books home from our well stocked library. Unclaimed articles of clothing can be found in the lost property basket in the school corridor. Please ensure all clothing is clearly named for easier identification. We celebrate special Church Feastdays with Mass and Liturgies – either in St Thomas More Church or in our school hall. Parents and caregivers are always welcome to join us at these times. There are a few different aspects of requirements and requests regarding money. Early each year or shortly after enrolment, we ask for a contribution by letter which goes toward cost of added value activities e.g. performances, visits, bus hire and so forth. Attendance Dues are payments made by parents and caregivers of children attending Catholic Schools to the Archdiocese of Wellington. The Archdiocese of Wellington (ADW) is responsible for maintenance of schools in the Archdiocese and invoices families directly for this. Payment of these is a legal requirement under the conditions of the Integration Act. As a smaller school the Ministry of Education Operation Grant is not fully adequate to cover the cost of everything we wish to offer our students. Therefore a voluntary donation of $100.00 a child or $200.00 a family is requested annually by CMS Board of Trustees. These are held occasionally. This is when students are invited to wear clothing other than school uniform – perhaps a particular colour or a theme and to bring a coin to donate for a specific charity or cause. Piano lessons are available on Mondays with Erica through Go Piano. Guitar with Andrew on Wednesdays. Violin lessons are available on request. 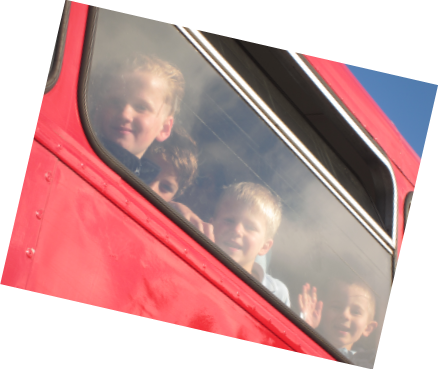 Weekly school newsletters is both emailed and given out on Wednesdays to the youngest member of a family to take home. It is also uploaded to the school website. Other newsletters from the Board of Trustees (blue) and PTA (green) are distributed when necessary. NZ Curriculum learning areas – Arts, English, Health and Physical Education, Mathematics & Statistics, Religious Education, Science, Social Studies and Technology are taught at all levels of the school. Parents and Caregivers are welcome at school. There are many ways of being involved and assisting. Assistance on trips is nearly always required where specific student to adult ratios are part of our EOTC safety action plans. PTA We have an active PTA. Parents and caregivers are welcome to join. You may not be available to join the PTA committee but this does not preclude you from offering your talents or service to the school in other equally important areas. Please consider how you could help or be involved in our school. Required speed in the driveway is slow. Before school and from 2:45 in the afternoon we ask that you park in the playground. Keeping to the traffic pattern in the grounds, and parking in rows to minimize risk is important for safety. After school all students are to wait in the hall or in the area in front to be collected by their parent or caregiver. Each day begins with prayer in class – often organised and led by students themselves. On Wednesday mornings the whole school gathers for prayer in the hall. You are very welcome to stay and pray with us on Wednesdays. Our school is part of the Otari Catholic Parish in the Western Pastoral Area of the Archdiocese. 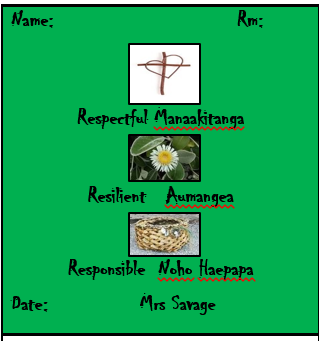 We acknowledge good behaviour through our green card rewards system. Every time a student collects a green it is put in the Green Card Container. Then the student clips their Green Card ticket with the green card hole punch. Once you they receive 20 green cards they get a acknowledge at assembly, a 20 certificate and a new Green Card ticket. Each time a student fills a their green card ticket they earn different rewards. The School reports to the community in a variety of formal and informal ways. There are two types of reports that we will send out at Cardinal McKeefry School . Mid-Year These are made after a child has completed half a year at school. These reports will be full reports covering all aspects of learning. We believe that these reports contain vital information that support your child’s learning journey and are better suited to mid-year reporting. As such, we have also changed the format of these reports to allow for direct comments that specifically relate to your child’s learning achievements and next steps and the efforts we feel they have put in to their learning. We also include your child’s reflection on their learning and their judgement of the effort they have put in to learning. End of Year These are made after a child has completed the year at school and will include an update on your child’s progress towards the learning goals that were set in the mid-year report. Parents or caregivers who wish to discuss the progress of their children at other times are encouraged to arrange an appointment with the class teacher. Should the school have concerns about the progress of a student an appointment will be made to discuss the situation with the parents or caregivers. 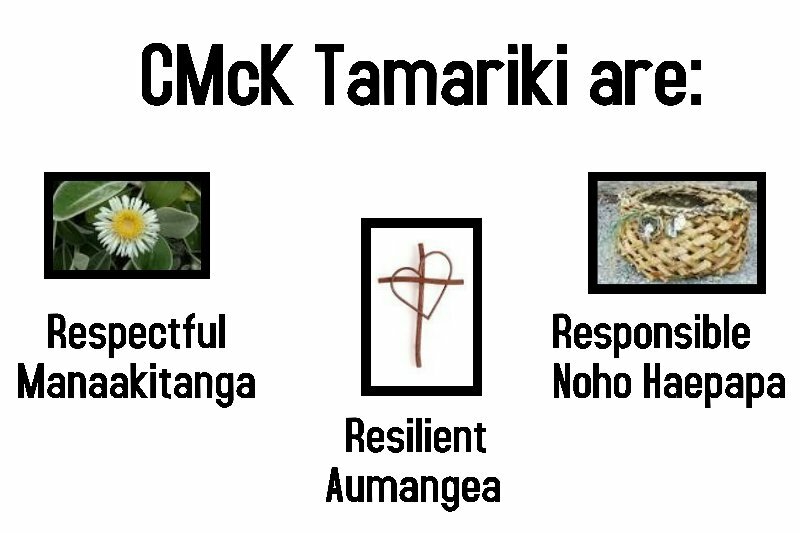 Respect for others and for our environment is integral to how we behave at CMK. Preparation programmes are run in the Pastoral Area. Information is available in school newsletters before the start of each programme. In accordance with our Sun Sense Policy, school sunhats are to be worn during Interval and Lunchtime in Terms 1 and 4. Those students without sunhats will be directed to stay in designated shaded areas. Where possible, outdoor P.E. and sports events will be scheduled before 11 a.m.
Our school has access to normal specialist services and after consultation with parents we may use one or more of these services in the interests of children as necessary. Public Health Nurse, Dental services , Police, Group Special Education, Psychological Services, Child Development Centre, Speech Therapist, SPARC, Victoria University and various specialist educational advisory services, Principals’ Associations and other local professional organisations. The school also has links with the parishes in the Pastoral area. Links have also been established with local Catholic Colleges and with other schools through Principals’ Associations, the Director of Religious Studies network, Western Zone Sporting network and meetings and courses organised through the Catholic Education Centre, and through other inter-school contacts. A term diary is sent home each term to help you be aware of what is happening. Details may also be accessed from the Community Calendar on our website. Uniform is to be worn each day. The uniform shop will be open on the first Friday of each month between 8:45 – 9:15 and 3:00 – 3:30. Uniform can also be purchased from New Zealand Uniforms on Thorndon Quay. Valuable items should not be brought to school – just in case. We work hard to ensure that you and your family are welcomed and involved in our school community. We are an extraordinary little school. You are most welcome to join our school community and together we can help your child be the best he or she can be. Zoom on in and see us at work.